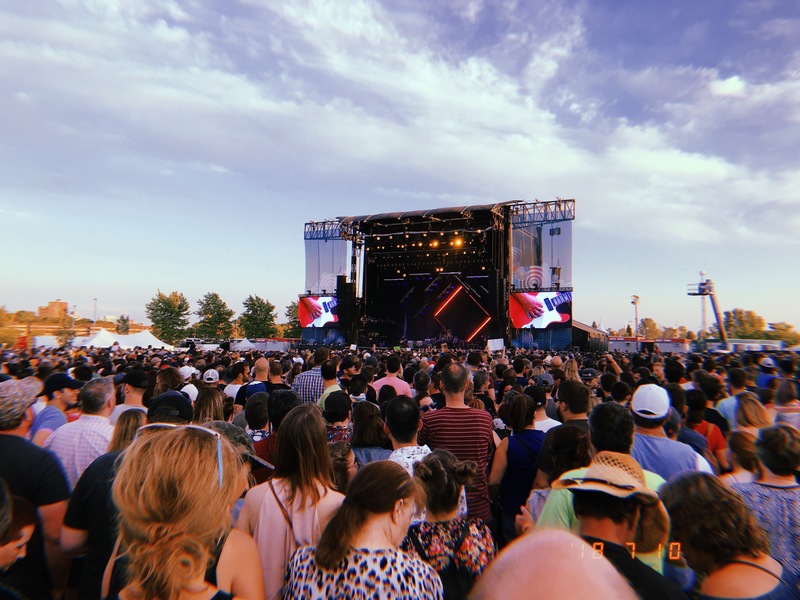 After a break on Monday, RBC Ottawa Bluesfest picked up full stream to what was the busiest nights. So busy that it was literally sold out for Foo Fighters! At least I got to hear Learn to Fly, My Hero and Monkey Wrench! Didn’t get approve to take photos of Foo Fighters. Had to use my phone to take this photo of the turnout! The wonderful Catriona Sturton started off the show with some blues, rock and folk music on the Claridge Homes Stage! Greta Van Fleet totally killed it with their hard rock music. Shooting in the pit on those two songs was the longest I have endure but it was so cool! Portand singer-songwrite M.Ward graced the Claridge Homes Stage for some folk alt-country music. Promoting his 2018 album called What a Wonderful Industry and some favorites on older albums. During Foo Fighter’s set, I decided to photograph Cloves from Australia/London England. Nice pop R&B set from the singer. Ending the night off was Machine Gun Kelly.